Ivory Pearls Rhinestones Flower Girl Jewelry. Your flower girl will delight in having her very own jewelry for her part in your wedding Ivory Pearl Necklace Stretchable Bracelet. 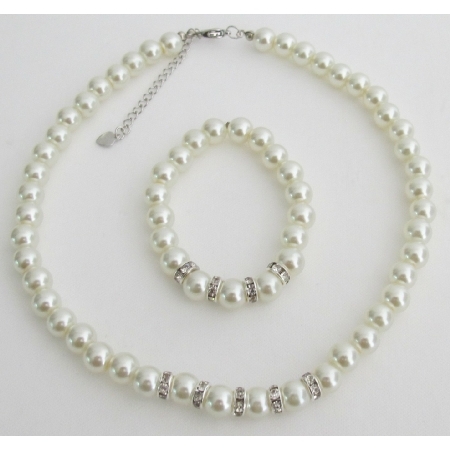 These pearls are perfect for the traditional bride & her bridal party .